84 families (71 homes) have no latrines; eleven others have facilities in decent condition.The 84 families without latrines use other families' latrines so as to avoid open defecation. El Guanacaste is a semi-rural community about 3 miles from the town of El Sauce. There is a big need for sanitation implementation in this area. Of the 97 homes there, only 11 have adequate sanitation. Many are borrowing neighbors latrines or practicing open defecation. 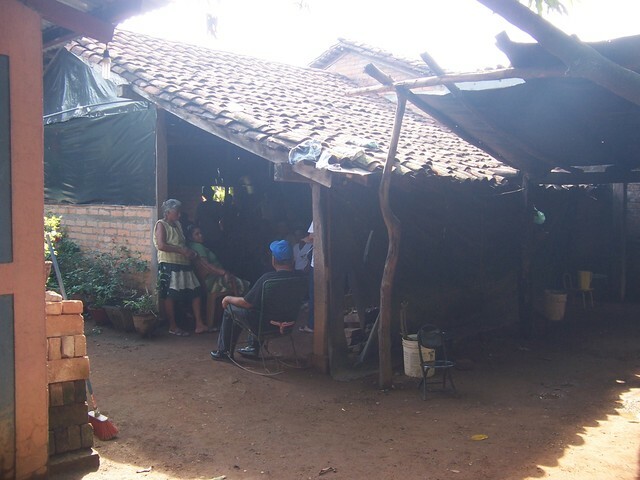 The people of El Guanacaste are mainly government workers like teachers or health workers in the town of El Sauce. El Guanacaste has not previously received assistance from El Porvenir. The community has home connections to a local water system managed by ENACAL (the national water company). The community has offered to contribute their labor to build the latrines, and also to contribute the bricks and the sand for the construction. There are also 11 homes with decent latrines facilities and 15 homes that are vacant, their inhabitants have migrated, mostly to Costa Rica, seeking work. Hygiene and sanitary education workshops to ensure improved health in the community as well as proper use and maintenance of latrines. This is carried out through our train-the-trainer program. In each community, at least 2 volunteers are trained to reproduce the workshops in their communities. Through the construction of the project, masonry skills are acquired that will help with the long term maintenance. Special emphasis in the community education will be given to the rotation of the pits. 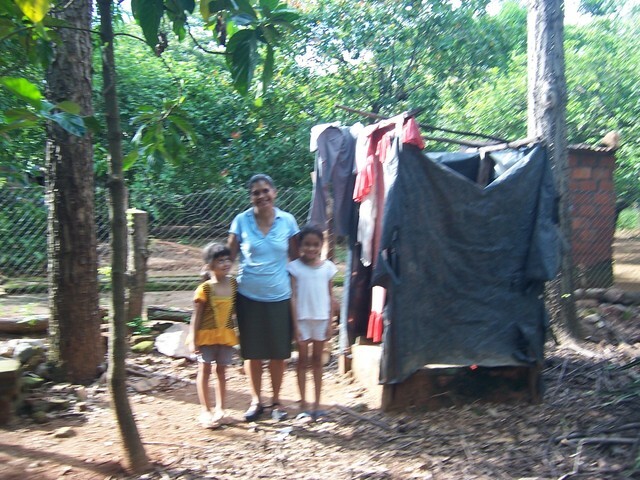 Several families already have latrines, but they will still be invited to participate in the educational process. El Porvenir has over 22 years of experience helping rural Nicaraguan communities build appropriate technology (wells with rope pumps, latrines, community washing stations, and fuel efficient stoves) as well as providing communities with the tools they need to manage their water, sanitation and watershed resources. 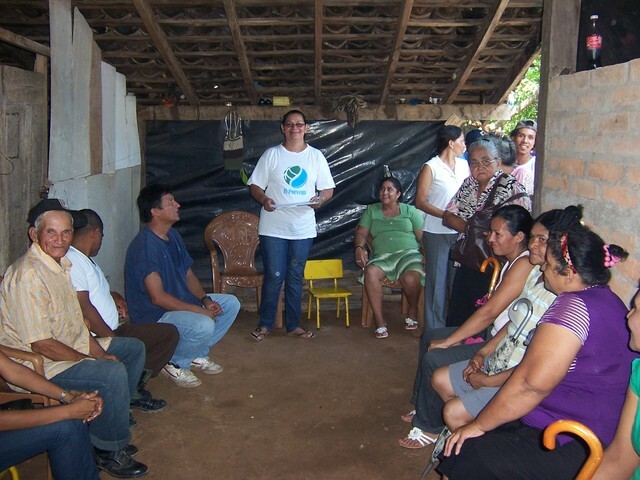 The methodology of El Porvenir is based on three key principles: (a) community empowerment through active participation and ownership in all aspects of the project, (b) creation of sustainable organizations in the community to manage resources in the long term, and (c) focus on appropriate technology made from low-cost locally available materials that can be maintained by the community. El Porvenir projects are demand driven, i.e. the local office of all Nicaraguan staff responds to requests from the community. Once staff verifies the need and feasibility of the project. Funds are sought. The municipal authorities and the local community also contribute towards project materials usually by purchasing or collecting local materials. When the remaining funds are available, the construction phase can begin. The community learns how to build and maintain water and sanitation infrastructure themselves. -The community builds latrines (hand dig two pits per latrine to depth of 6 feet/2 meters, line with blocks, bricks or stones, install precast concrete slab and box seat, create walls and roof from zinc panels, install ventilation tube with flyscreen). The superstructure shells are made of zinc and metal, so as to be easily reused (and moved) when the first pit fills. The pits are alternated. El Porvenir offers their technical expertise throughout the process and trains the community members how to repair and maintain the infrastructure. The beneficiaries have met with the El Porvenir Promoter and agreed to carry out, use, and maintain the double pit latrines as per the 10 norms on the use of latrines. This includes keeping them in good condition, preventing contamination of the surrounding area, and understanding how this will improve their overall health. The community will be trained in community organizing techniques and committee functioning. El Porvenir has signed MOUs with our municipal governments. In the case of El Sauce, the government supports the project materials cost at 10%. -Community learns how to reduce water and sanitation related illnesses through good hygiene practices. -Carry out household visits and community workshops to help the community to identify risky behaviors and learn good hygiene practices. Topics covered include: Definition of hygiene, 10 rules for using latrines, Why sanitation is important, Water and sanitation related diseases, The cycle of contamination, Why hand-washing is important, How to maintain and dispose of garbage, How to use and maintain wells and community washing stations, How to treat and use water, Sources of water contamination, Role and responsibilities of Community Water and Sanitation Committee members. The health and hygiene education program is described in more detail above. We encourage the community to start a maintenance fund. They decide on an amount and collect it from benefiting families each month. When repairs need to be made to the well, they can dip into this fund. In addition, our health and hygiene promoters do surprise home visits to see if the families' latrines are well kept and that they are practicing good hygiene habits. See spreadsheet. This amount does not include the community contribution, just one additional donor and the municipality. The total time worked by the community in carrying out this project will be approximately 710 person-days with a value of approximately US$3.40 per day (wages generally paid in rural area for manual labor). Additionally the community will contribute the bricks and the sand for the construction. You mention about the community fund for the well. Is there a well at this project? What about any use of the community fund latrine repairs, issues, etc. Other than the moving of the pits, have you encountered other maintenance issues. Replacing of the toilet or doors or ...? How has that been taken care of in the past? The community has water from a water system managed by ENACAL. The mention of the well in the Sustainability section is a cut and paste error from another application. The use of a community fund for household latrine repairs has not worked at all since the latrines are a family responsability, unfortunately. We have looked at some microfinance options to help families look at repairs down the line, but there are several problems here with that option. (1) There has been a "no payment" movement, that although it seems to be dying down now, has created a difficult climate for microfinanciers. (2) Most microfinanciers are not as interested in home improvement types of loans, just business related loans, as the payback rates are higher apparently. One common problem is with the doors. Door repairs need to be taken into town for welding usually. It is often a prohibitive cost. I can't say we have a great solution yet for the long term other than: (a) focusing on preventative maintenance, asking families to put grease on hinges, paint, keep the door closed (so wind doesn't bang it around), etc. so the infrastructure will last longer and (b) having the beneficiaries build and partially pay for the latrines to give them more ownership and to hopefully feel more inclined to (i) take care of it and (ii) pay for necessary repairs. However, having the communities pay a portion has only been in the last few years. We have had communities come back to us requesting another latrine (something we do not do though - no repeat customers), but mostly because the latrine is full (from the old single pits we used to do), not due to infrastructure problems (mostly). We try to encourage those families to dig another pit and turn their single pit latrine into a double pit, but we haven't gone down this path very far yet to say if that is going to work. Same as Dhanam has asked to specify- what is the technology- pour flush or dry pit? Secondly, in the budget you mentioned about wells , but the proposal says that households have individual connections to water? How does this fit? The community as mentioned by you is government servants and health workers- how much effort is required to enforce hygiene behaviour in such a community? See above for the response to Dhanam that I just added. In the budget, I think maybe you had a look at the secondary pages of the budget that feed into the main budget page. It is a template we use for budget calculations and lists all the possible project types. In this particular case, we do not have anything besides the latrines, thus column C, "number" is 0 for all except the latrine total. Does that help? With your question on hygiene behaviour, all communities are different. The staff judge as time goes on how much effort is needed to change behaviour. The staff will generally accompany a community for approximately 2 years, but will start to lessen the frequency of their visits as time goes on, as the community shows signs of improved hygiene behaviour. Although some of the community members in this case are health workers, this may or may not prove to be helpful to our hygiene campaign in the long run. thanks Rob for the answers? will come back with more if needed. Can you please share the 10 norms? How do you instill these norms? What do you do when you don't find these norms being upheld? Do your communities work thru peer pressure internally? Or need an external facilitator? Happy to share. The norms and other educational materials in Spanish are available on our web site. 1. Always use the latrine. 2. Wash your hands well after every use. 3. Cover the seat hole and the trash can so that flies don't go in. 4. Throw a fistful of ashes or lime in after each use of the latrine. 5. Wash the latrine with bleach and soap every week. 6. Adorn your latrine so you will enjoy using it. 7. Burn or bury whatever you use to wipe yourself. 8. Teach your children and neighbours to use the latrine. 9. Maintain the latrine and keep the door closed. 10. When one pit fills, move the bench and housing to the other pit. The norms are instilled mostly through the community educators' workshops and their following replication of the workshops. See the explanation of Other Benefits for some discussion on that. If the norms are not being upheld, which is common, especially at first, our staff and local community educators schedule the community for further follow-up (we usually follow-up on a community for at least a year, in difficult cases, more). Generally through the house-to-house visits and explanations, people start to get the message. Peer pressure is a factor, certainly, and having the local community educators who continually visit helps with that. One more point i would like you to share. How do you train the kids? Do you work thru parents only? Your approach is different from the school->home one. Primarily you are linking this activity with goverment source and beneficiary contribution which is really good for community participation. May I request you to give the details on two pits latrine method with some relevelant pictures with technology involved. Is flush type, dry compost toilet or any other method. This is a dry VIP double pit latrine system. Thank You for your effort to change the peoples attitude to use the toilet to save the clean environment. Would you advice the beneficiary to use the dry compost as bio-fertilizer for any agriculture activity. The sustainability of EP's work has improved with the shift to dual-pit. The org's long term continuity with the community makes their work commendable. Since the area is peri urban , there needs to be more emphasis on creating local demand and making sanitation an issue to be considered at the local governance level. There can be more emphasis on advocacy than limiting to standard sanitation practices and education alone. You can use the dry compost after the test result from the Laboratory. El Porvenir projects are quite successful. Sanitation projects such as this one will benefit the village. Experience shows that they are sustainable. My vote is yes on ths application.